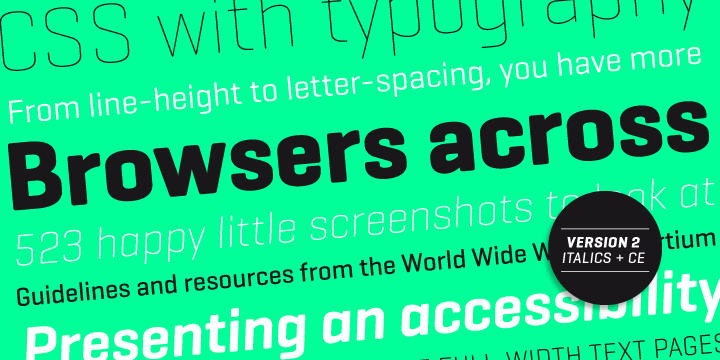 Geogrotesque can be defined as a semi modular font with a subtle rounded finish typeface. The unique typeface has characters based in formal principle with its equivalent optical adjustments. This is done to ensure easy and perfect adaptation of the system to an alphabet for perfect texts. The typeface family is known to possess a geometric or “technological” structure. The much appreciated rounded finish guaranteed a warm appearance and imparts a nice look to the typeface. Geogrotesque is now used as a display typeface in various publications and even intermediate length texts.